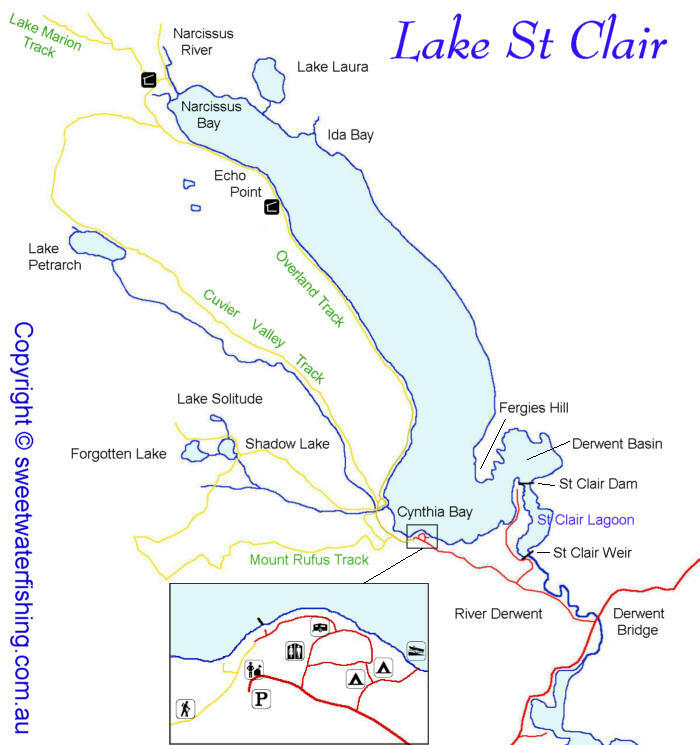 Lake St Clair is within the National Park area and a Parks entry permit is needed to access the waters here. Permits are available at all Service Tasmania outlets and at the park visitors centre at Lake St Clair. The main lake is a clear, deep water with some of the most magnificent scenery in Tasmania however it is not recognized as a great trout water but has good beetle, polarizing and wind lane fishing during the summer months. It is also suited to deep trolling methods. Several small rivers enter the lake and these can provide good lure and fly fishing depending on water flows which can be heavy during wet periods. A tourist boat services the North end of the Lake which gives anglers access to Narcissus Bay and the Narcissus river. This is also the main exit point for walker doing the overland Cradle to St Clair walk. The main attraction for trout fishing here is St Clair lagoon on the South end which had good foot access. It is part lake and part river where water from the main lake flows out over a shallow basin to form the headwater of the Derwent River. This very shallow water is most suited to fly fishing. It provides some good early season wet fly fishing but had sensational dry fly fishing during the early and mid summer periods. The main channels are clear running water where polaroiding trout up to 2lbs as they feed in the shallow runs provided some fantastic fly fishing. Also in Spring when the margins flood, wet fly fishing in the Tee trees can be worth trying. Brown Trout and Rainbow Trout. Also Climbing Galaxias and Spotted Galaxias. Boat launching is permitted at Cynthia Bay. Camping is perimtted at Cynthia Bay. 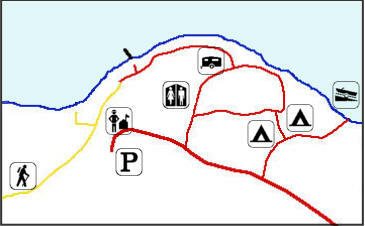 Huts are also located at Echo Point and Narcussus Bay.